Professional development is a critical area in any educator’s job, but given the busy nature of schooling, there isn’t always sufficient time to put aside for this important task. Because of this, education departments, associations and private industries are working to provide teachers and principals with improved professional development access through a number of initiatives. Principals Australia Institute (PAI) are encouraging principals to consider leadership coaching to enables school leaders to access coaches with corporate executive coaching experience. The PAI’s leadership coaching is being delivered in partnership with Coach Studio, a professional coaching business based in South Australia, with a global reach. Other initiatives are also springing up to support the professional development of principals. In February, a new partnership between Independent Schools Queensland (ISQ) and Educator Impact (EI) to enable 150 school leaders from Queensland independent schools to build their leadership capability with 360 feedback, reflection, and goal setting. This week, another partnership aimed at improving professional development for educators was launched in Queensland. 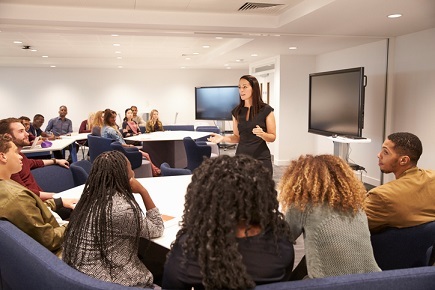 The Queensland Education Leadership Institute (QELi) and Growth Coaching International (GCI) announced the new program this week, which will take the Institute’s already successful coaching programs to schools across the state. QELi CEO, Neil McDonald, said the announcement sees two eminent training organisations will further their commitment to supporting school improvement and enhancing learning outcomes for students in Queensland. McDonald said coaching in education is increasingly recognised as a key element in strong leadership and a crucial component in driving sustainable school improvement. “Coaching in an educational context is a self-directed, one-to-one conversation where a coach encourages learning through questioning, active listening and challenging discussions in a supportive and encouraging environment,” he said. McDonald added that colleagues, particularly in regional and remote areas, continually ask for QELi’s programs to be more geographically accessible to enable whole-school learning and development. “This new arrangement now allows QELi and GCI’s coaching expertise and highly regarded programs – including Introduction to Leadership Coaching, Coaching Accreditation Program and Peer Coaching – to reach more educators, and ultimately support more students,” he said. GCI executive director, John Campbell, said GCI is delighted to be extending its partnership with QELi to enable easier access for Queensland educators to the GCI coaching-focused professional learning programs. “Coaching skills are increasingly seen as core leadership skills for educators and this extended partnership will enable educators in regional areas to experience professional learning that has made such a positive impact for others over the last few years,” Campbell said. Strategies on how to tackle a range of issues principals experience on a day-to-day basis will be discussed at the inaugural Educator Leaders Summit, being held at Sydney Dockside on 17 August 2018. The Education Leadership stream at the Summit features principals from leading schools in NSW, such as Queenwood, Harrington Public School, Knox Grammar, Kiama Public School and Loreto Kirribilli (among others). The stream will also feature partners from leading law firms that deal with sector covering topics such as social media misconduct, teacher discipline and termination, family law issues, and discrimination.